videolamer.com Are you ready to rock? … well you can’t. Are you ready to rock? … well you can’t. Way to go EA / MTV. Way to f up the launch of what should have been your biggest title this Christmas season. Rock Band launched today, or so gamers were told. In reality it seems like there were only a handful of units shipped to retailers with little or no warning about the shortage. The only press release I’ve seen even hinting at production shortages was unearthed yesterday, in which the EA spokesman said that there might be a little supply crunch … until MARCH OF 2008! Best Buy held midnight launch parties at about two dozen locations across the US and reports are coming in that a large majority of those stores got shipped a paltry number (one store in Kentucky received two PS3 bundles, and that’s it) or no games at all. That means people waited all night to get a rain check for a game with no future restock date. Websites for retailers GameStop, Circuit City, Best Buy, Target and Walmart have removed the bundle package listing completely. Amazon listed the restock date as 12/18 this morning, and then promptly removed the date all together … although you can purchase it from “other sellers” right now starting at $380 (thank you Amazon). Many stories are being posted to gaming news sites from people who had even pre-ordered the game months ago being told they won’t get one before Christmas. My question is, how the hell do you launch a major release that’s been hyped and advertised for a year without making enough to even cover the pre-orders? Last time I checked, plastic was pretty easy to shoot into molds and ship off (see Malaysia). Even the Rock Band website store doesn’t have a restock date … although you can get a flaming skulls guitar strap or guitar skin (I’m sure they made millions of those). If they knew they couldn’t make the rush to release before Black Friday they should have waited. As a matter of fact, they were scheduled to release this weekend and they moved the date up for some inexplicable reason. Add to this whole debacle the rumors of a release day patch and it just hammers home the problem with rushing to impossible launch dates. If a game isn’t ready, don’t ship it. If you can’t make the projected sales figures (which is what the entire stupid pre-order system is in place to provide) then tell people that the need to wait. There’s nothing worse than waiting for launch day, heading on down to the store to grab a copy and finding out that there wasn’t enough games made to suit the market need. It kills your excitement for the product and serves only to make the company look bad. Of course, people still end up paying for whatever is released so the companies aren’t learning anything in the long run, but one can hope. Either way, at least I tracked down a copy for myself. After ordering off of the Circuit City site last night when I saw that the bundle was listed as “in stock” at a nearby store, I was called by an employee at noon to tell me that they didn’t get any after all (great system), although they had happily charged my credit card for the phantom purchase at 10 am. I canceled the order and was told that it would be 5 – 10 business days before my refund went through (assholes). At this point I gave up hope, searching eBay and Craigslist only to find $350 – $400 auctions. Then at about 12:30 a friend from work called and told me that the FYE nearby had three in stock, so we rushed over there and grabbed them all … for a marked up, non-electronics store, dickhead price of $200 ($30 above retail). The launch day patch happened with GH3 on the 360, so I’m not going to harsh them for that. As for how hard plastic guitars are to amke, apparently moreso than we would think. I remember when I first picked up Guitar Hero 1, back in the winter of 06. 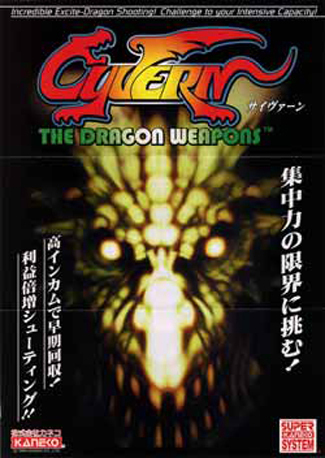 Back then the game was a bit difficult to find at retail, which was either an inability to ship a steady stream of copies or they merely did not expect such huge demand. 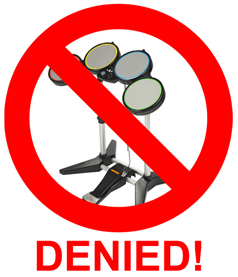 Things were better for GH2, but there were still stories of shortages, and the wireless PS2 guitar was near impossible to find. With GH2 360, finding spare controllers was a chore until a few months ago; now they’re stacked like castles. Long story short, making enough copies of these games with instruments seems to take these guys more time than we would expect, and considering how many more instruments rock band has, the problem is multiplied. I finally realized how Game Informer managed to review Guitar Hero 3 a month or two before released; the final code was likely finished then, and the extra time was used to make as many controllers as possible. This is unacceptable however. Everyone involved knew how popular this game would be, and how much time it would take to prepare adequate shipments. A month shortage max is even tolerable, but past Christmas? No thank you. Not so amazingly, Joystiq seems to have no articles about the shortages, too busy are they sucking on the game’s teet to ever dare criticize it. Well after finally getting to play it last night (along with three friends) I can fully understand why gaming news sites might not be posting info on the shortages. It’s because they’re too busy playing this f-ing amazing game. Easily the most fun I’ve ever had with a four player game.